With gravelly loam, consistent temperatures and plenty of sunshine during the growing season, Dr Gladstone’s report of 1965 identified the Margaret River Wine Region as having similar characteristics to that of Bordeaux. Cape Grace vineyard lies in the Wilyabrup sub region of the Margaret River Wine region, the jewel in the so called regional crown and as such was the site on which Dr Tom Cullity originally wanted to establish Vasse Felix, thankfully for us the farm was not for sale and the rest as they say is history. Every vineyard is unique, with regards to the relationship between soil and climate and there is an old saying, “Great wines are created in the vineyard” and with this in mind our vineyard is managed with total respect for the relationship between the soil health and vitality and the correlation to vine nutrition and fruit production. 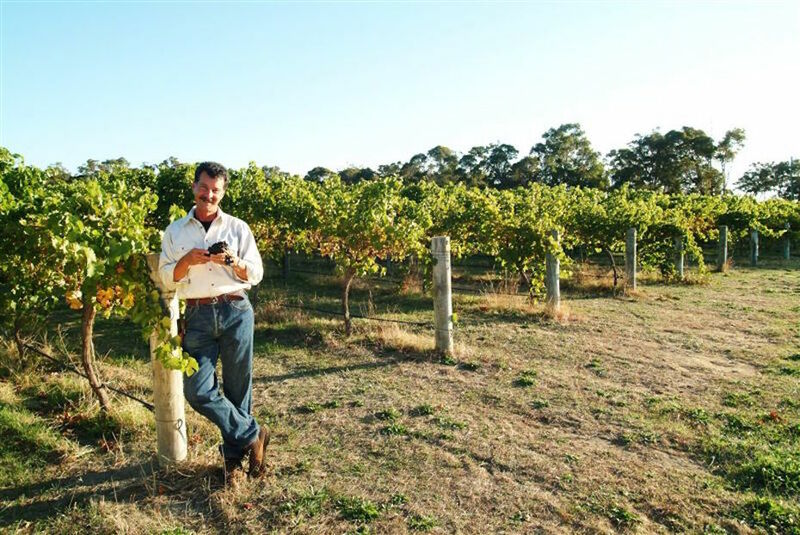 The vineyard is consistently cared for by a team of specialist contractors under the constant supervision of Robert, with no cost spared in producing fruit of the highest quality. The Cape Grace vineyard is grown naturally using organic principles and incorporates some aspects of biodynamic farming in an attempt to preserve and enhance the natural environment allowing our fruit to be authentically expressive in terms of depth of flavour and structure. This pristine fruit allows us to create individualistic wines that are true to their site and season. Soil health and vitality are of major importance and our aim is to “put back” more than we take in terms of soil nutrition. In autumn, after vintage and throughout winter, agistment for Dorper sheep is successful in reducing pasture and gives a lovely sprinkle of manure. That combined with chicken poo pellets and organic compost create a rich elixir of nutrients and compounds that facilitate soil fertility and thus vine nutrition and health. Healthy vines are better able to protect themselves from pests and disease via their naturally stronger immune system. We nurture this health by using naturally occurring Sulphur and Copper sprays in the vineyard, this assists in keeping disease at bay whilst not upsetting the vine’s natural micro environment and the soils and microbes they contain. Whilst necessary, heavy machinery is kept to a minimum to avoid soil compaction. Cover crops are used between rows to reduce weeds, assisting in balancing the nitrogen in the soil and are employed to provide organic matter back to the soil. Healthy soil, rich with organic matter, has a greater ability to capture and utilize rainfall and moisture and therefore irrigation is kept to a minimum to aid in the concentration of the fruit flavour profiles. Cane pruning is used in most blocks with the vines grown on a north-south, vertical shoot positioning (vsp), 4 wire trellis system to facilitate even sun exposure and thus ripening, ensuring pristine fruit with slow and steady development. Hedging, shoot thinning and leaf plucking are part of the canopy management strategy. We strive to protect and nurture the 10,000 vines on this vineyard that are our old friends. We have served each other well over the past 18 vintages and look forward to many more by constantly researching and investigating vineyard practices and evolving our own.